Since it was first introduced at the Atlanta Games in 1996, the CAS ad hoc Division has never been as crowded as it was during this year’s Rio Olympics. This is mainly due to the Russian doping scandal, which has fuelled the CAS with Russian athletes challenging their ineligibility to compete at the Games. The CAS recently revealed that out of 28 awards rendered, 16 involved Russian athletes challenging their ineligibility. This Russian ballet is a direct result of the shocking findings of Richard McLaren’s Independent Person (IP) Report ordered by the World Anti-Doping Agency (WADA). McLaren’s investigation demonstrated that the Russian State was coordinating a sophisticated doping system. The revelation triggered an outrage in the media and amongst other competitors. Numerous calls (especially by WADA and various National Anti-Doping Organisations) were heard urging the IOC to ban the entire Russian delegation from the Olympics. The IAAF decided to exclude the whole Russian athletics team,  with the exception of Darya Klishina, but, to the disappointment of many, the IOC refused to heed these calls and decided, instead, to put in place a specific procedure to assess on a case-by-case basis the eligibility of Russian athletes. Paragraph 3 of the IOC Decision: “The ROC is not allowed to enter any athlete for the Olympic Games Rio 2016 who has ever been sanctioned for doping, even if he or she has served the sanction”. Yulia Efimova, a top-level Russian swimmer, had a rough time at the Rio Games, where she was much criticized by her peers. Yet, as a sweet revenge, she did win two silver medals. Her achievement was made possible by a decision of the CAS ad hoc Division that enabled her to compete, although she had been sanctioned previously for doping and fell under paragraph 3 of the IOC Decision. In principle, Efimova, like the rowers Anastasia Karabelshikova and Ivan Podshivalov, did not comply with the criteria imposed by the IOC. However, in the awards CAS OG 16/13 and CAS OG 16/06, the CAS Panels, relying primarily on the concept of ‘natural justice’ and referring to the established CAS jurisprudence regarding the so-called ‘Osaka rule’, sided with the Russian athletes against the IOC. The ‘Osaka rule’, which was adopted by the IOC in June 2008 in Osaka, foresaw that any person sanctioned with a doping ban of more than six months would be ineligible for the Olympic Games following the date of expiry of the ban. In 2011, the CAS found that rule to be contrary to the WADA Code and the IOC’s Olympic Charter. IOC Decision”. The arbitrators emphasized that the IOC had acted in “good faith and with the best intentions” in addressing the release of the IP Report. However, the Panels also stressed that the IOC Decision recognised the “right of the individual athletes to natural justice”. In this regard, both Panels challenged the legality of paragraph 3 of the IOC Decision. Thus, it is argued that this paragraph “contains simple, unqualified and absolute criterion”. Furthermore, “there is no recourse for such an athlete, no criteria that considers the promotion by the athlete of clean athletics (as the IAAF consider by way of an example) or any other criteria at all”. Therefore, the arbitrators struggled “to reconcile this paragraph  with the stated aim to provide the athletes with an opportunity to rebut the presumption of guilt and to recognise the right to natural justice”. Consequently, “this denial of the rules of natural justice renders paragraph 3 as unenforceable”. Another related question was whether paragraph 3 should be treated as an eligibility rule or an additional sanction on athletes that had already been sanctioned for positive doping test. Though they deemed it a moot point, both Panels referred to the well-known case law of the CAS on the ‘Osaka rule’ to find that paragraph 3 constitutes an additional sanction. Podshivalov were barred from participating to the Rio Games on other grounds. The fact that paragraph 3 of the IOC Decision is deemed unenforceable should come as no surprise to anybody involved in international sports law. The CAS jurisprudence on this matter is very much a principle stand, under the current WADA Code there is simply no room for an Olympic ban in addition to a doping ban. This is a lesson often lost on the media and general public during Olympic days, but the principle of legality is a cornerstone principle of our legal systems and cannot be discarded lightly. Why the IOC decided to ignore this jurisprudence is open to interrogation. Did it want to appear as doing something substantial, while being aware that the CAS would not allow the rule to fly? Maybe. If not, paragraph 3 of the IOC Decision was just legal amateurism at its best, unjustifiable under any state of doping emergency. On the first years of the CAS ad hoc Division, see G. Kaufmann-Kohler, Arbitration at the Olympics, Kluwer Law, 2001. This decision was upheld by the CAS in an unpublished award CAS 2016/0/4684. 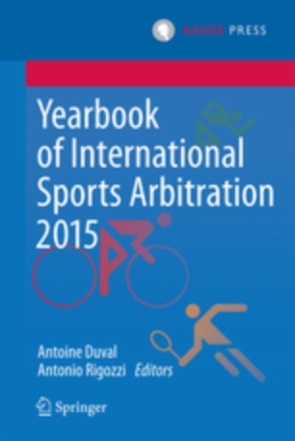 On the role of the CAS ad hoc Division in Olympic selection dispute see A. Duval, Getting to the games: the Olympic selection drama(s) at the court of arbitration for sport, The International Sports Law Journal, July 2016, Volume 16, Issue 1, pp 52–66. The following awards are reviewed: CAS OG 16/13 Anastasia Karabelshikova & Ivan Podshivalov v. FISA & IOC ; CAS OG 16/04 Yulia Efimova v. ROC, IOC & FINA ; CAS OG 16/09 RWF v. IWF ; CAS OG 16/11 Daniil Andrienko et al. v. FISA & IOC ; CAS OG 16/18 Kiril Sveshnikov et al. v. UCI & IOC ; CAS OG 16/19 Natalia Podolskaya & Alexander Dyachenko v. ICF ; CAS OG 16/12 Ivan Balandin v. FISA & IOC ; CAS OG 16/21 Elena Anyushina & Alexey Korovashkov v. ICF & RCF ; CAS OG 16/24 Darya Klishina v. IAAF. 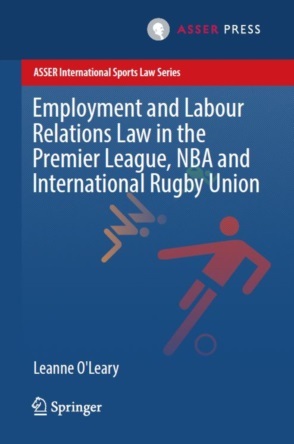 See CAS 2011/O/2422 USOC v. IOC and CAS 2011/A/2658 British Olympic Association (BOA) v. World Anti-Doping Agency (WADA). See CAS 2011/O/2422 USOC v. IOC. CAS OG 16/13, para. 7.5 and CAS OG 16/04, para. 7.10. Ibid., para. 7.11 and ibid., para. 7.12. Ibid., para. 7.16 and similarly ibid., para. 7.18. Ibid., para. 7.18 and CAS OG 16/04, para. 7.25. Ibid., paras 7.19-7.22 and ibid., para. 7-17.